California is the largest producer and exporter of wine in the United States. California wine is not only shipped to every state in the nation but internationally as well. In 2014 alone, over 225 million cases of wine were produced in California. This bounty has an estimated retail value of over $24.6 billion, which represents an increase of 4.4 percent from 2013. People all over the world are crazy about wine. Unfortunately, individuals in Arizona are forced to look at this vibrant wine economy from the outside. As it currently stands, there are laws in place that limit the ability of Arizona residents to purchase wine online and that is primary the way it is purchased. 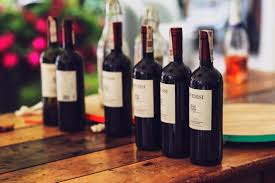 Rather than having wine shipped directly to their homes, Arizona residents are forced to physically visit each individual winery to order wine. They must do this once a year! This greatly reduces the buying power of Arizona residents interested in purchasing wine online. However, a recently proposed bill, SB1281, aims to change this. The “Free the Grapes” bill, as introduced by Arizona State Senator Nancy Barto, would eliminate the current regulations. The decision will come down to Arizona voters. Those interested in eliminating the regulation, and allowing the direct shipment of wine to Arizona homes, need to vote “yes” to SB1281.